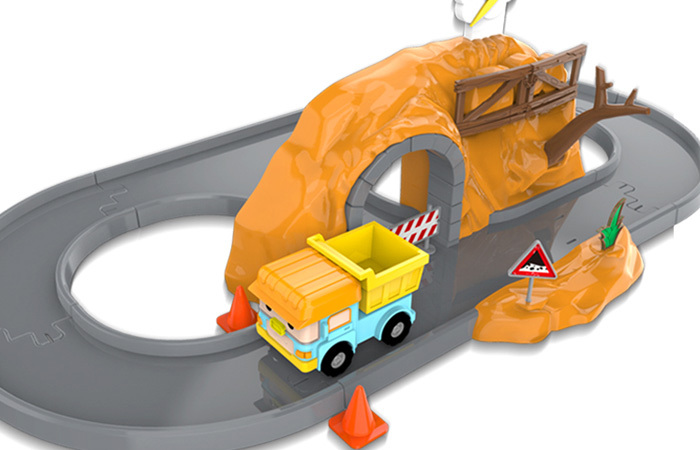 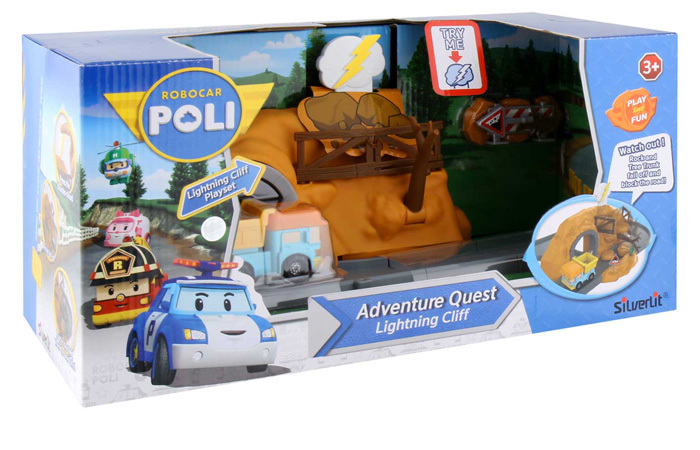 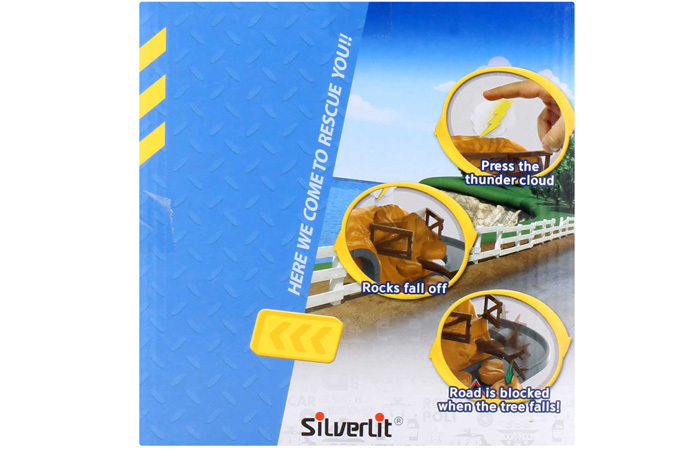 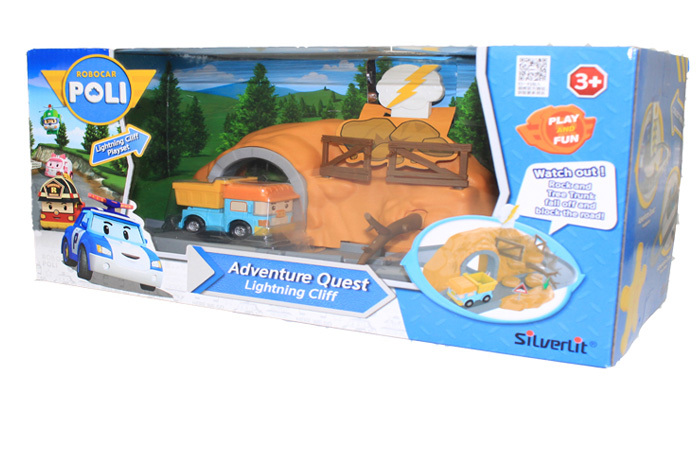 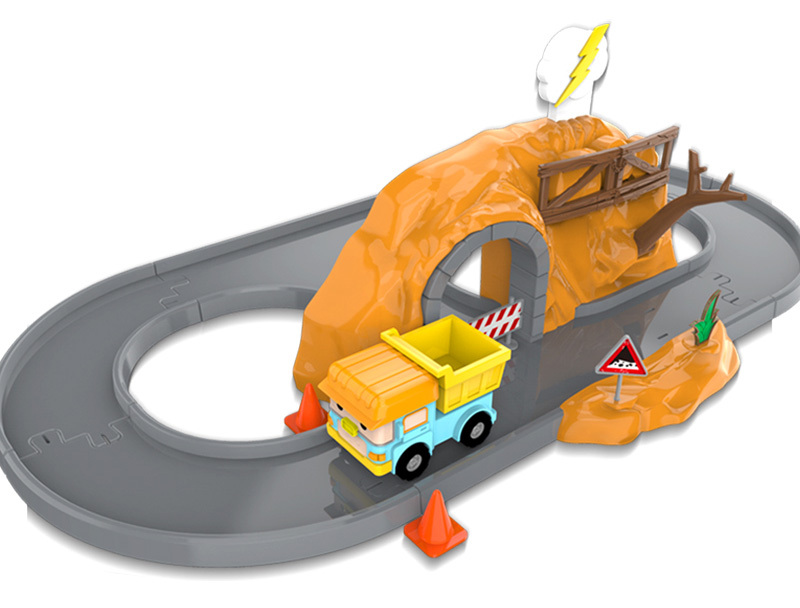 Silverlit Toys Robocar Poli Lightning Cliff Play Set, Movie Cartoon Characters Kids Toy. 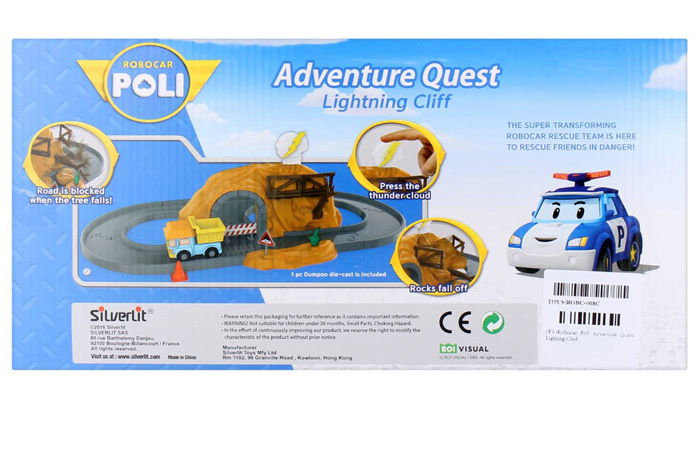 - Dumpoo Robocar Poli Movie Cartoon Character. 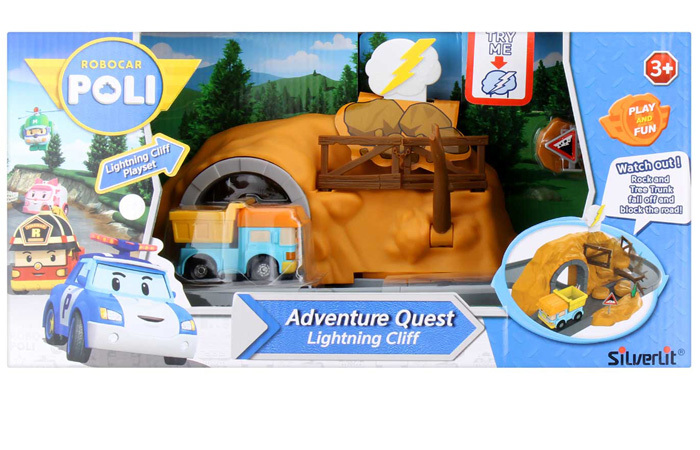 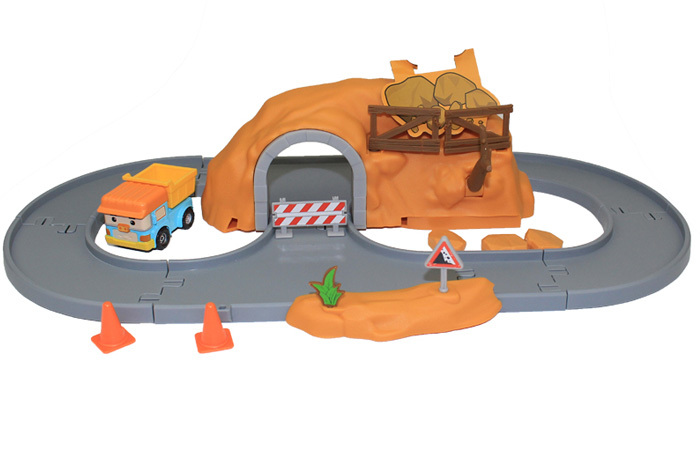 - Press The Thunder-Cloud Rock And Tree Trunk Fall Off And Block The Road! 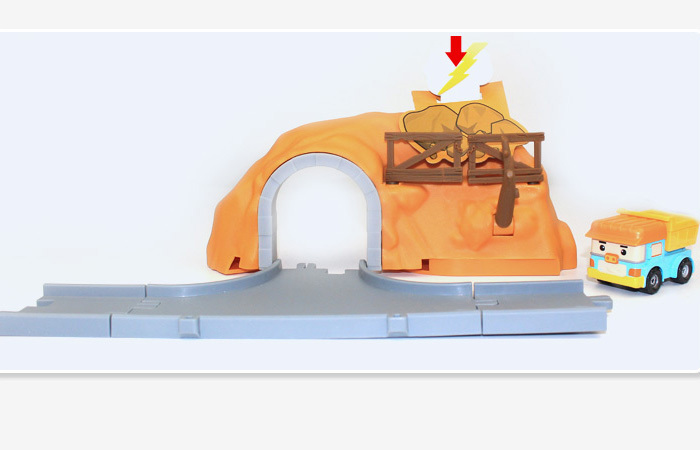 - 1 x Shaky Bridge Play Set. 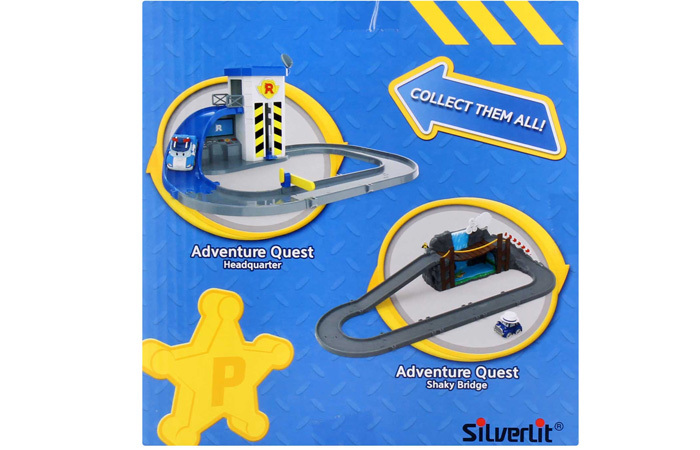 - 1 x Robocar Poli Dumpoo Mini Car.